RHR Mechanical provides single-source HVAC and plumbing systems design-build capability for both new and retrofit construction projects. Led by registered Professional Engineers, our in-house design-build service teams reduce cost and accelerate project completion for owners and general contractors. 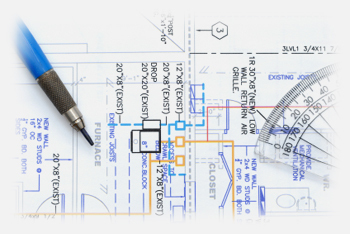 We do this by providing upfront detailed cost projections with a menu of options early in the planning phase, allowing informed decision-making during the design stage, which can also prevent costly change orders during project construction. All of our design-build work is handled by our seasoned engineering staff. 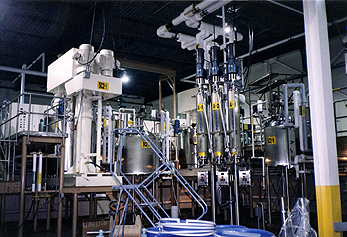 Upon completion of the project, RHR Mechanical can also maintain the equipment providing our clients with one stop responsibility from design through years of equipment maintenance care. Good CAD keeps design changes to a minimum. Our CAD operators use the latest AutoCAD and CADPipe programs to produce composite mechanical drawings for planning, fabrication, and installation of mechanical components for each of our projects. CAD is critically important to project management as it allows coordination of the physical details. By overlaying all of the disparate design facets, CAD checks to see if they all fit together, and if they don’t, recommends possible changes before actual construction occurs. Furthermore, after construction begins, our CAD operators note any changes that occur along with any future design or construction changes so that there is always an updated version of the design readily available to the Project Management Team.